UNIFI is an enterprise level content management platform. Upload your entire content library to the UNIFI cloud and let the cloud get to work. 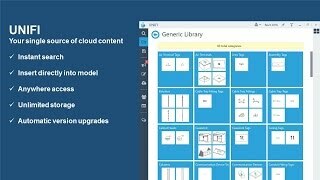 The cloud will automatically update files to all forward Autodesk® Revit® versions eliminating the need for multiple year libraries. 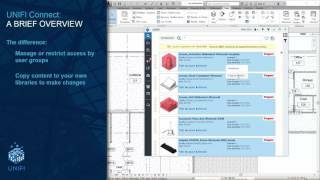 This also delivers the same year content to the Revit version you are using eliminating the 'Updating Content" screen forever! Built in workflows for requesting new content to be created from Library admins and for Admins to review and QA new content being uploaded to company libraries. UNIFI facilitates these workflows and consolidates them into a single, consistent application for your entire firm. Plus, we provide access to trusted manufacturer content through UNIFI Connect, which is available to all UNIFI content management users. For assistance with installations and deployments, please contact support@unifilabs.com. To create a support ticket, please contact support@unifilabs.com or click on the "Email Support" button within the UNIFI application.